A mobile hairdresser from Sutton has been banned after she hit another car while over the limit, a court has heard. Gemma Turner, 28, of Tudor Street, admitted driving with excess alcohol when she appeared at Mansfield Magistrates Court on Thursday. 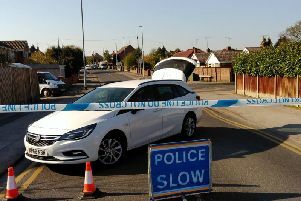 Neil Hollett, prosecuting, said police found her Vauxhall Corsa on Church Road, in Kirkby, at 9.30pm on Sunday, September 9. A roadside breath test revealed she had 78 microgrammes of alcohol in 100 millilitres of breath when the legal limit is 35 microgrammes. “She told officers she couldn’t remember how the collision came about,” said Mr Hollett. Tom Oates, mitigating, said: “She is devastated to be here. The other vehicle didn’t have the headlights on. She knows the road quite well. Mr Oates added that Turner had recently split from her boyfriend. He said she had been drinking with friends the night before and consumed a glass of prosecco at Shipley Country Park at lunchtime and later, a large glass of white wine. She was fined £250 and banned for 18 months. She was ordered to pay court costs of £85 and a £30 victim surcharge. If she completes a drink driving course before September 4, 2017, the ban will be reduced by 137 days.